Botulism is a food poisoning caused by a toxin produced by the bacteria, Clostridium botulinum. C. botulinum and its spores are everywhere. It is prevalent in soil and water worldwide. The bacteria and spores themselves are harmless; however, when they grow, they create a highly toxic poison that can lead to extreme illness and even death. The spores must have an oxygen-depleted, low-acid environment in which to grow, and prefer temperatures between 40 °F and 120 °F. This organism can easily grow in improperly stored home-cooked or commercial foods, as well as in canned foods that have not been prepared with proper canning procedures. During the canning process, oxygen is removed from the container and if the proper temperatures to destroy the spores are not reached, the spores now have the proper environment to grow into vegetative cells and eventually produce the deadly toxin. Foodborne botulism is due to ingestion of a toxin formed in food. One of the most common culprits in foodborne botulism is home canned foods, especially low-acid foods such as asparagus, corn, green beans, lima beans, mushrooms, peppers, sauces, soups, meats, fish and poultry. More unusual sources of outbreaks of botulism include chopped garlic in oil, chili peppers, tomatoes, improperly handled baked potatoes wrapped in aluminum foil, and home-canned or fermented fish. Commercial foods have also been involved in botulism outbreaks. Some outbreaks have been attributed to improperly handled food, such as potato salad, served in restaurants. But many commercial food outbreaks are due to consumer mishandling, such as disregarding labels that indicate the food should be refrigerated. Some food companies acidify their products or lower their moisture content as an extra precautionary measure in case the refrigeration warning is not heeded. Consumers can best protect themselves by reading the labels and following the storage instructions and by discarding rusty, swollen or otherwise damaged cans. Infant botulism is serious, but rare, and not usually fatal. All infant cases involve babies less than 1 year old and are sometimes associated with the ingestion of contaminated honey. The disease is most common in the second month of life. Person to person spread does not occur. A person must ingest food that is contaminated with the toxin. A person can kill the botulism toxin if the affected food items are properly cooked or reheated. Infant botulism differs from foodborne botulism in that the toxin itself is not ingested. Instead, C. botulinum spores swallowed by the infant germinate and produce the toxin in the favorable environment. Foodborne botulism produces symptoms that affect the nervous system (the toxin bonds to nerve endings). The symptoms of foodborne botulism include blurred or double vision, general weakness, poor reflexes, difficulty swallowing and may result in death. Unfortunately, this is a commonly misdiagnosed illness. It is mistaken for stroke, intoxication, Guillain-Barre syndrome and other less serious illnesses. The first sign that an infant has botulism is usually constipation, although this isn’t always apparent to parents. Often the baby isn’t brought to a doctor until parents notice other symptoms, such as lethargy and poor feeding as the paralysis begins to affect the baby’s gag reflex and swallowing ability. Loss of head control is striking, and the baby will develop a wail or altered cry. Symptoms usually develop within a day of eating the food, but can take up to 10 days to manifest. Hospital care is necessary. An antitoxin (made from horse serum) will prevent any further bonding of the toxin to the nerve endings. However, side effects from this serum can include anaphylaxis, a life-threatening reaction, so it cannot always be used, and it is never given to infants. Recovery is slow and occurs only when the affected individual grows new nerve endings. Until that time, the patient is maintained so that they do not suffer from respiratory paralysis. The infant botulism fatality rate is less than 2 percent and recovery is usually complete. Often, however, infants have to spend weeks or months on a ventilator. Are There Complications from Botulism? Untreated botulism may result in death due to respiratory failure. However, in the past 50 years the proportion of patients with botulism who die has fallen from about 50% to 8%. A patient with severe botulism may require a breathing machine as well as intensive medical and nursing care for several months. Patients who survive an episode of botulism poisoning may have fatigue and shortness of breath for years and long-term therapy may be needed to aid recovery. Do not feed honey to infants under one year of age. Honey is perfectly safe for older children and adults. Oils infused with garlic or herbs should be refrigerated. Potatoes which have been baked while wrapped in aluminum foil should be kept hot (above 140 °F) until served or refrigerated. If you home-can products, make sure you use proper equipment, proper containers and up-to-date procedures. 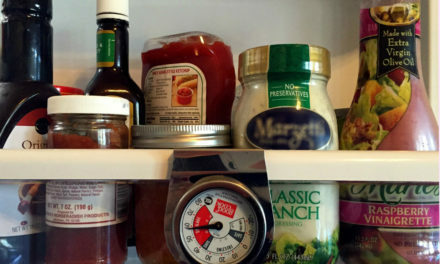 Can low-acid foods in a pressure canner (to reach temperatures above boiling) and for the recommended time for the type of food and the size of jar you are using. Do not can low-acid foods in the oven, in a water-bath, open kettle or vegetable cooker. Before eating home-canned low-acid foods, heat to a rolling boil, then cover and boil corn, spinach and meats for 20 minutes and all other home-canned low-acid food for 10 minutes before tasting. This will destroy any toxin present. Discard all raw or canned food that shows any sign of being spoiled. Discard all bulging or swollen cans of food and food from glass jars with bulging lids. Commercial cans with bulging lids should be returned, unopened, to the vendor. Do not taste food from swollen containers or food that is foamy or has a bad odor. When in doubt, throw it out. 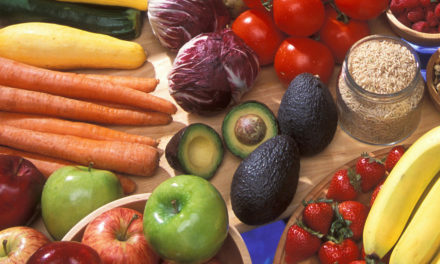 Detoxify low-acid foods suspected to contain the botulism toxin before discarding. For information on safe canning procedures and how to detoxify contaminated foods, request HGIC 3040, Canning Foods at Home. 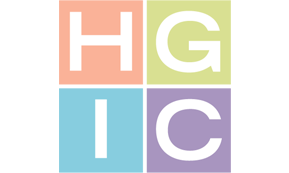 For more information on oils infused with herbs or garlic, request HGIC 3470, Flavored Vinegars.